The latest data from the NPD Group shows U.S. Mac sales in the month of January were up 31 percent year over year, suggesting Apple began to catch up with demand for its new all-in-one iMac. Gene Munster of Piper Jaffray believes domestic Mac sales saw such a significant spike in January because Apple likely satisfied some of the overwhelming demand the company had seen for its redesigned iMac in the December quarter. Last quarter, Mac sales were off 17 percent  a loss that Apple attributed mostly to a lack of availability of the new iMac. Apple sold a total of 4.1 million Macs in the December quarter of 2012, down from 4.9 million a year prior. Apple Chief Executive Tim Cook noted that iMac sales were down 700,000 units year over year in the December quarter, a reduction that would account for most of the 800,000 fewer Macs Apple sold in the quarter. 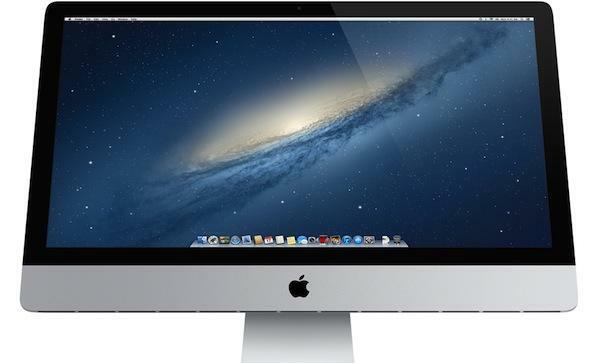 The new iMac was plagued with production issues when the desktop went on sale in December. It's been reported that those issues came from a unique screen lamination process Apple has employed in its new design, allowing the desktop to sport a much thinner profile than its predecessor. While the NPD data is a sign that Apple began to catch up with iMac demand in January, the sales data represents only domestic PC sales and does not account for the overseas portion of Apple's increasingly international Mac business. As such, Munster estimates that total Mac sales for the current March quarter will end up down 5 percent year over year, amounting to 3.8 million units. The analyst did caution that it's "still early," and the picture could change as more data comes in. The latest NPD data also revealed that iPod sales were up 3 percent year over year domestically in the month of January. Munster's current projections call for total iPod sales in the March quarter to be down 17 percent. He cautioned that even if iPod sales did surprise to the upside in the quarter,it would mean less than 1 percent upside to Apple's overall numbers.